Cranberry sauce has always been part of the traditional Thanksgiving menu. In the 1960s, an uncooked sauce of coarsely ground cranberries and oranges became a national favorite. 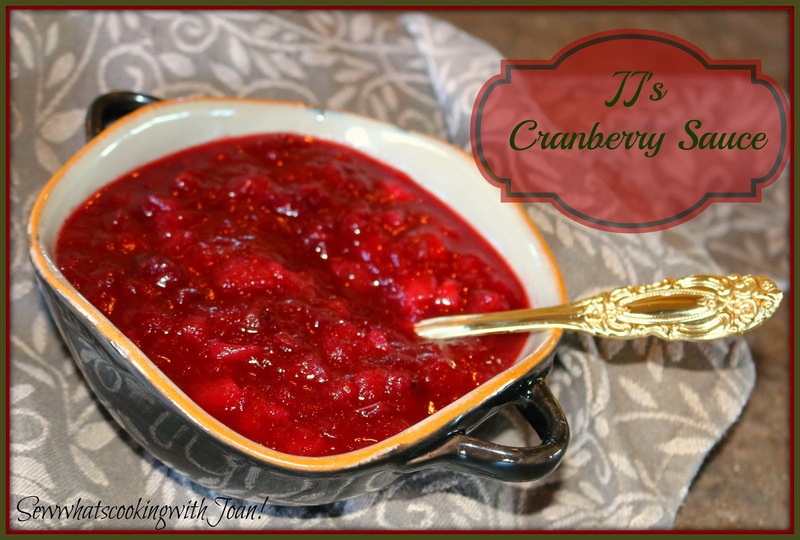 But since then, the original quickly cooked cranberry sauce has regained its popularity, with many variations such as this one with apple, pear, orange and a hint of spice. This sauce is best made at least 1 day ahead of time so the flavors can meld. It can be served at room temperature or warm. In a medium saucepan, boil orange juice and sugar until sugar dissolves. Reduce heat to simmer, and stir in cranberries, apple, pear, salt, cinnamon, nutmeg and orange zest. Cover and let simmer for 30 minutes, stirring occasionally, until the cranberries burst. Remove from heat, and cool to room temperature. ~ This sauce is great over a block of cream cheese for appetizer with crackers or in a turkey sandwich the next day! 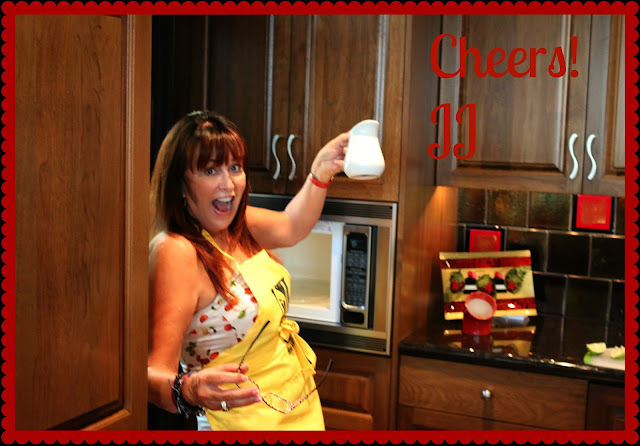 We here at "Sew What's Cooking With Joan" hope you enjoy a beautiful Thanksgiving with family and friends!